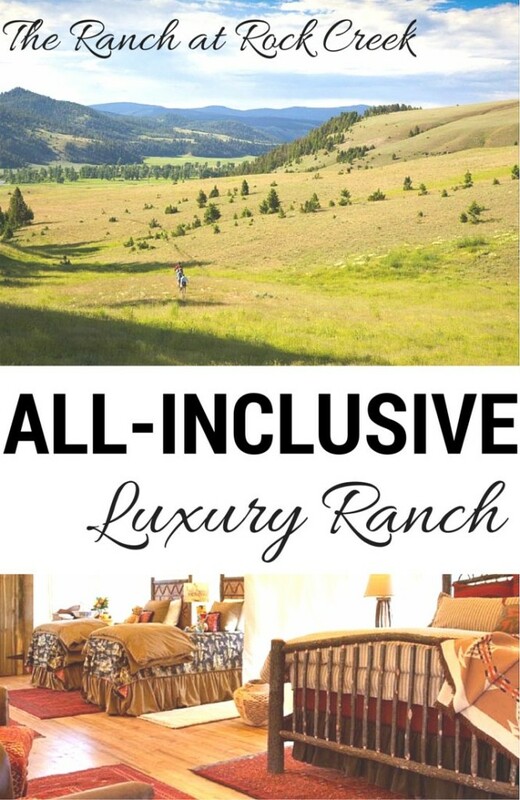 The Ranch at Rock Creek–All Inclusive Ranch Vacation in the United States! As some of you may have read, our family loves all-inclusive vacations. We love the idea of paying one lump sum for a complete package. When traveling with young kids, it’s a relief to know that we won’t be paying out of pocket for each activity or bemoaning the price of the $15 buffet price when our toddler chooses to eat just two grapes and a slice of cheese. Everything is included in the upfront total price, which makes the vacation easier to enjoy. We’ve taken our young girls to resorts in Jamaica and Cancun, but we’ve had trouble finding anything stateside. There are precious few all-inclusive options in the U.S. When Cooperatize asked me to write a sponsored post about The Ranch at Rock Creek, I was THRILLED! 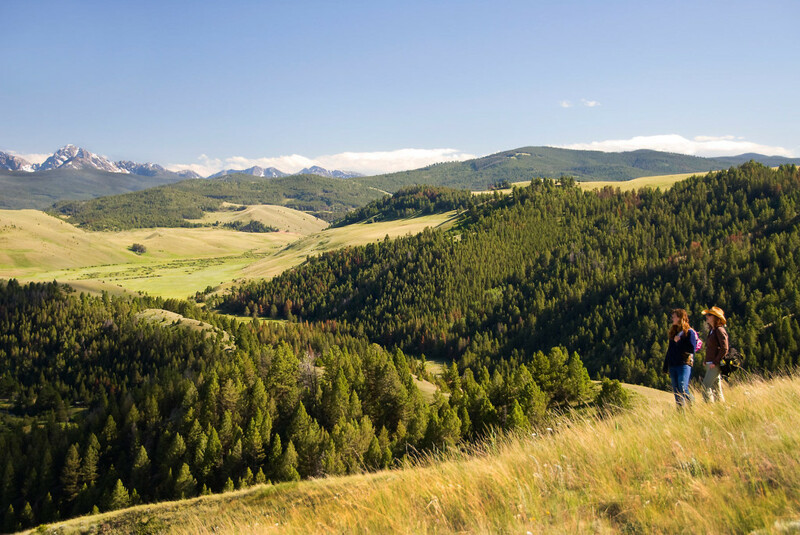 It would be such an incredible experience to visit this ranch and writing about the Montana location was the excuse I needed to research it more (and swoon over the beautiful ranch pictures). What I learned from my research is that I definitely need to add this luxury ranch to my family’s travel bucket list. It would be the vacation of a lifetime! I’m not into camping, but the “canvas cabins” at the ranch barely resemble the leaky, uncomfortable tents that most of us know and love to hate. No one will be waking up with an aching back or a soggy sleeping bag here! 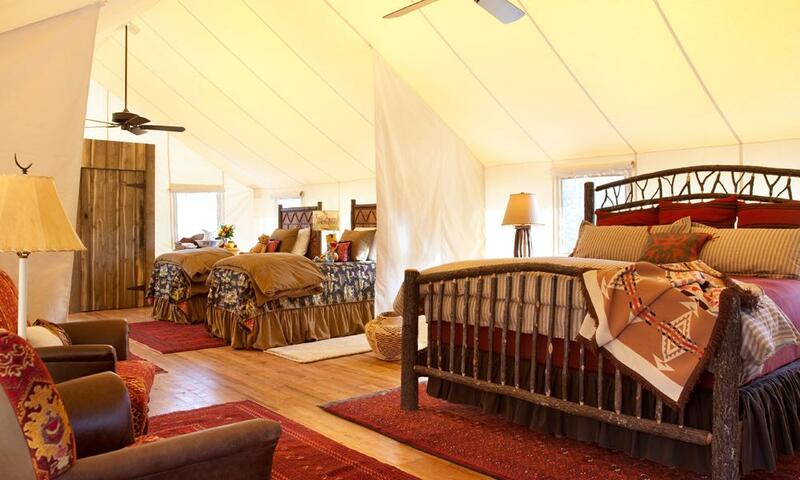 Of course if even “glamping” is too rustic for you, there’s also a gorgeous lodge. As I would expect at an all-inclusive ranch, meals and drinks are included. All rates include full board with breakfast, lunch & dinner in the Granite Lodge and/or the Blue Canteen. Also included are all wines and drinks during meals from The Ranch wine list or in the Silver Dollar Saloon. However, the thing that is even more impressive than the ranch’s food offering is its list of amenities and activities that are included with your stay! When the weather cooperates, bikes are provided to guests so that they can ride around the ranch. If you’re lucky, you may see a moose, elk, big horn sheep, or an eagle during your stay! If you’re considering cutting back on physical gifts this holiday season and opting for experiential gifts instead, The Ranch seems to be an experience your family could never forget. 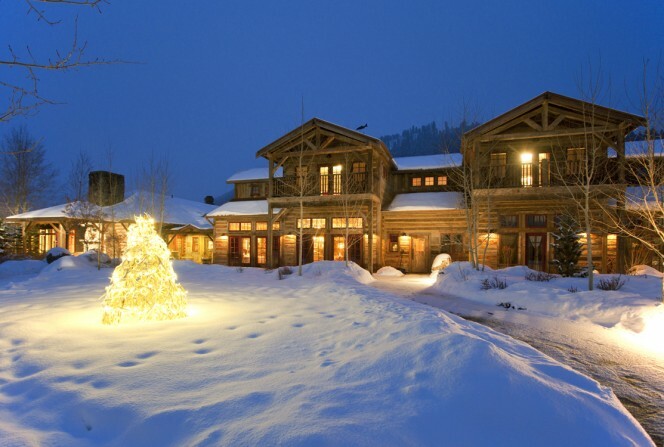 Imagine visiting this winter and skiing, snowmobiling, ice skating, ice fishing, taking a sleigh ride, or trying out snow shoeing! That sounds like a lovely way to embrace and enjoy winter with your kids! Even though the ranch is very luxurious, children are always welcome. (And children under three are free.) Kids ages 4-12 are invited to participate in the “Little Grizzlies Kids’ Club.” Activities for young adventurers include ice fishing, sledding, yoga, downhill skiing (ages 6 and up), archery (8 and up), and snowmobiling (for 16 and up). What do you think? 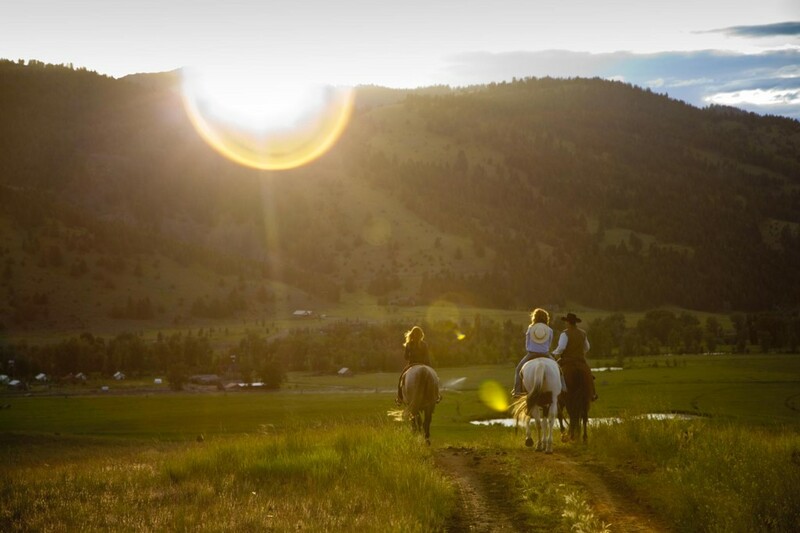 Would you ever try a luxury, all-inclusive ranch? Thanks to Cooperatize for giving me the chance to write about The Ranch at Rock Creek. 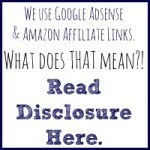 I was compensated for my time and effort in writing this post. All opinions are my own. ← ALL ABOARD! 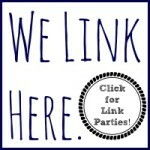 Train Birthday Party Ideas for Boys or Girls!